The famous white towns perched in the hills and mountains of Spanish Andalucia are rich in charm and history. Peaceful, idyllic unspoilt by tourism, pueblos blancos are perfect getaway from hustle and bustle of the Spanish coast. Have a look at our ranking of white villages which deserve your visit. 1. ZAHARA DE LA SIERRA – this beautiful tranquil town sits at the foot of the Sierra del Jaral, in the Sierra de Grazalema Natural Park. This fairy white village overlooks turquoise gleaming lake providing spectacular views. Remains of a Morrish castle tower over the town. Perfect for those seeking peace – all day long you can hear sounds of birds and wind. 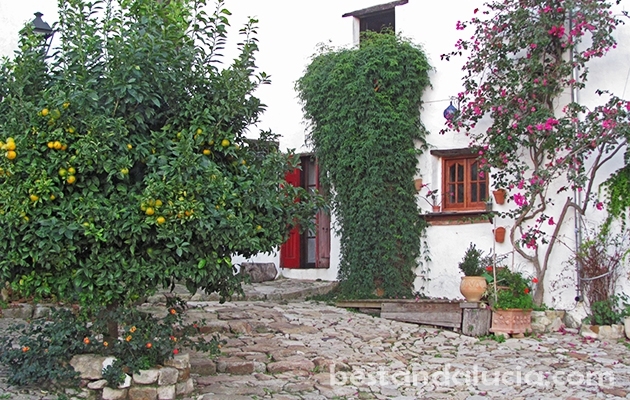 In our opinion, the nicest pueblo blanco in Andalucia. 2. 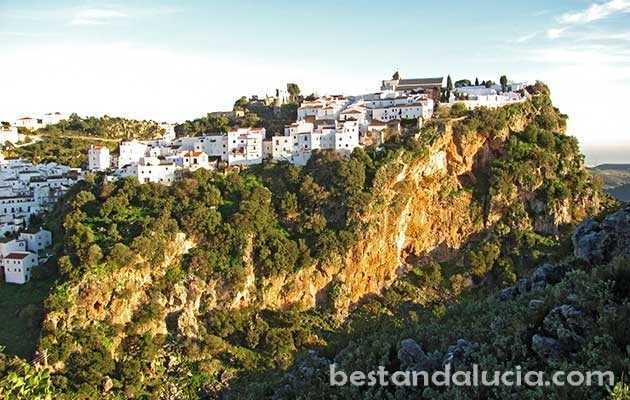 CASARES – breath-taking white “hanging” village located between Campo de Gibraltar and Serrania de Ronda. Frequently visited by photographers, painters and poets. There is a 12th century Arab castle on top. Near Casares, there are famous Roman Sulphur baths of Hedionda where Julius Caesar is said to have cured his skin infection. 3. 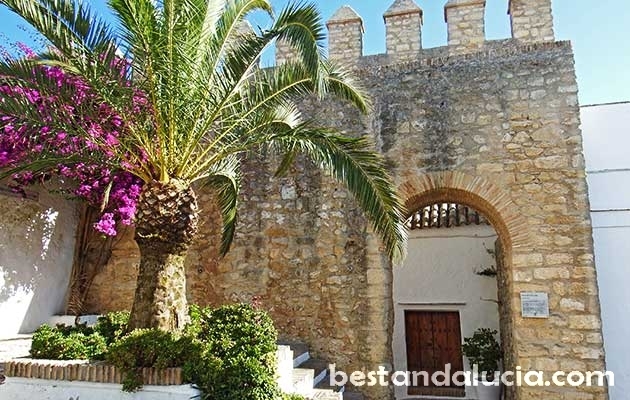 MIJAS – a very popular white village located only 30 km away from Malaga. Perched high on the mountainside, the village boasts spectacular panoramic views of Costa del Sol. In the very centre of Mijas there is large multi-storey parking which tourists use as a starting point to explore the village. Just next to it there is a donkey taxi, but we recommend to walk round Mijas on foot! 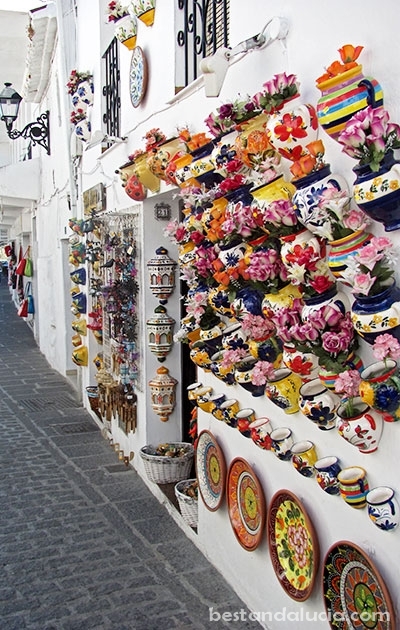 The village is famous for charming cobbled streets decorated with colourful decorative vases, bowls and plates. There are some excellent craft shops in Mijas as well with beautiful tile paintings and fancy traditional Spanish dresses. One of the streets will lead you to a small but beautiful bull ring which you can enter for a small fee. Other tourist attractions in the centre include a small church set in a cave Ermita de la Virgende la Pena and the El Compas viewpoint overlooking some spectacular gorges. 4. 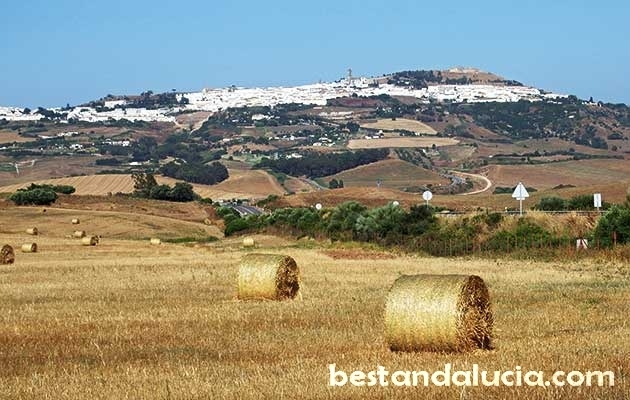 VEJER DE LA FRONTERA – a real gem on Costa de la Luz, located between Barbate and Conil de la Frontera. Once you arrive at the top on a sunny day, you will be able to enjoy excellent views of Spanish Coast of the Light and even of Morocco. Vejer makes up a fascinating labyrinth of narrow cobbled streets. Recommended some good tapas in the centre. 5. 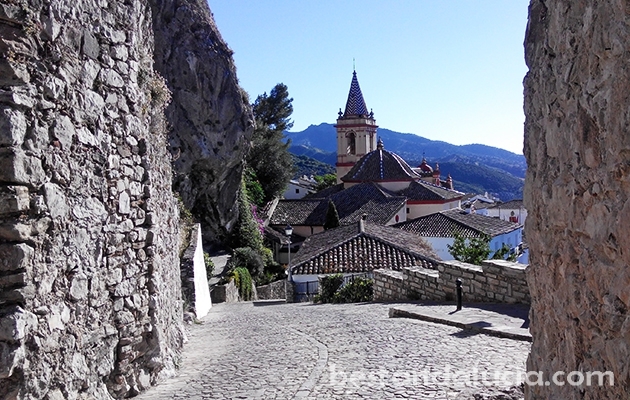 CASTELLAR DE LA FRONTERA – old fortress village perched very high on a hilltop. 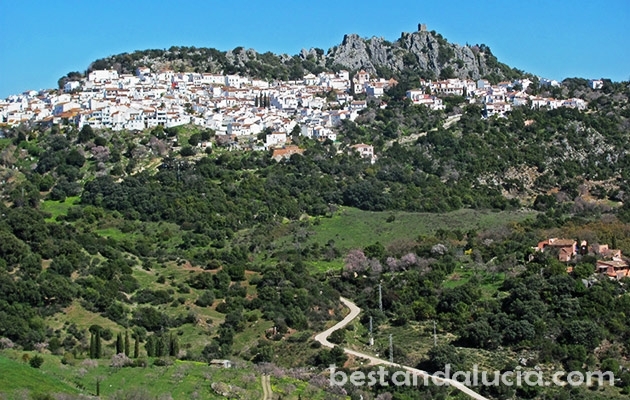 From the south direction, Castellar can be reached by a picturesque winding road. Among beautiful narrow cobbled streets full of ornaments and flowers, you will find the Balcony of Lovers which provides amazing views of the lake beneath. Best to visit during sunset! There is a quaint souvenir and local art shop at the catle entrance. 6. ARCOS DE LA FRONTERA – definitely most dramatically positioned pueblo blanco in southern Spain. Situated on the edge of precipice, The Parador de Arcos offers sensational views over the green plains below and of the River Guadalete. This white washed town, which was declared a national historic monument in 1962, boasts a twelfth century Arab fortress and very atmospheric old town. It’s probably the biggest of all the pueblos blancos. 7. 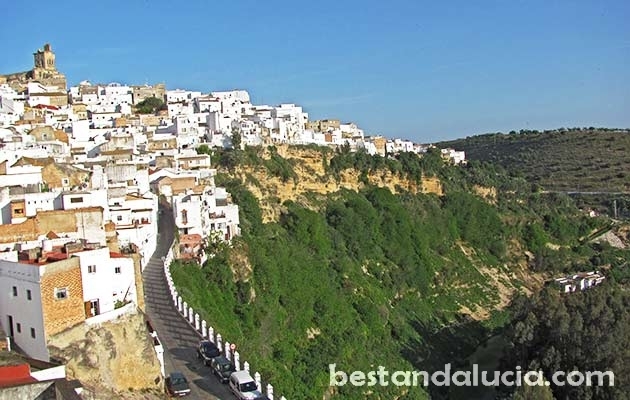 GAUCIN – white village in Andalucia. 8. MEDINA SIDONIA – pueblo blanco in Andalucia, on the road to Jerez de la Frontera. 9. FRIGILIANA – white village in the foothills of the Sierra Almijara mountain range, near Nerja.